BPCL is a modern refining and distribution company. The term BPCL is short for Bharat Petroleum Company Limited. BPCL is a competitor that competes against Hindustan Petroleum for the 2nd slot behind Indian oil. The company refineries are located in Mumbai, Kochi and Numaligarh. In Numaligarh, the company owns about 69% of the Refinery. These refineries provide about 22.2 million metric tons of crude oil every year. BPL sells crude oil, gasolines, LPG (Liquid Petroleum Gas) and Kerosene. BPCL is a huge company having about 8,400 gas stations across the country. The company has its own national network of kerosene dealers and the company also enjoys the services of 2,110 LPG dispensers. Indian government owns 55% of the firm but it plans to sell this share as a part of industry wide deregulation. The headquarters of BPCL is located in the Mumbai city. There are more than 10,000 employees in this firm. The revenue of this firm is about ₹500+ billion (INR) per year. The firm offers a competitive, caring and innovative work environment which has attracted many people to post their interview and apply for this firm. Not only BPCL offers a caring and innovative work environment but also it provides a reasonable salary to the people working here. There are different scales of pay for the management staff. The salaries of the management staff begin from Rs. 24, 900 and it rises to Rs. 1, 25, 000 for the higher ranked people. Executive/ Officer/ Engineer is the lowest rank in the firm and thus they get Rs. 24,900 to Rs. 50, 500 for their contribution. This is a handsome pay, because it is the lowest rank in the firm. Then again the C & MD gets about Rs. 80, 000 to Rs. 1, 25, 000 which is a very good salary. The salary of the employees is different because the level, rank and contribution of all of the employees are not same. So, the employee who is ranked higher and contributes much gets paid more. But, the pay scale is pretty decent in the firm. Again for the non management staff in marketing, the pay scale starts from Rs. 9, 000 to Rs. 49, 000. The salary increases as per the ranks of the non management staffs. For part time jobs, the pay scale in Mumbai starts from Rs. 4, 700 to Rs. 49, 000. In the Kochi Refinery, the pay scale of the part time workers starts from Rs. 11,500 to Rs. 49,000. Although there are differences of the salaries of the workers, the pay rate is pretty good. The salaries of the employees of BPCL are pretty handsome. Everybody gets their payment according to their contribution and qualification. There is also a good opportunity for the part time workers in BPCL. The working environment is also very good. The salary of the workers differs as per their designation. The C & MD gets the highest amount of salary from the company which is about Rs. 1, 25, 000. The executives or the engineers contribute less to the company and thus they get about Rs. 50, 500 for their contribution. The non management staff also gets a good salary. Here is a table about the pay scale of the employees of BPCL. Their salary differs as per their post. BPCL offers its employees job security and health insurance. The company provides the employees needs of everything and anything. BPCL provides a CTC of 6 lakhs. It also offers perks and allowances to its employees including insurance benefits, retirement benefits and vacation policy. They also provide dearness allowance and house rent allowance. BPCL offers 47% perks and allowances of their employees basic earning. Medical Reimbursement, Provident Fund, Gratuity, Superannuation Benefits etc. are also offered by BPCL according to the rule of their company from time to time. BPCL offers caring and innovative work environment. BPCL offers friendly work environment to the employees. The employees and the owners share a healthy relation. Everybody is designated to a particular task and everybody performs their tasks quite well, so there is no need for the employees to occupy another individual’s work in the company. The decision making of this firm is very clear and uncorrupted. So, the employees and the wannabe employees will enjoy corruption free environment. Incentive and allowance offers are available for the employees. Bonus is available for the successful projects and special perks are available which can be up to 50% of the basic salary. The employees get a pay rise when the petrol price rises. Performance related payment is also available for the employees. BPCL employees get job security and health insurance. It is a wide misconception that BPCL follows the CPC (Central Pay Commission) in terms of salary revision. 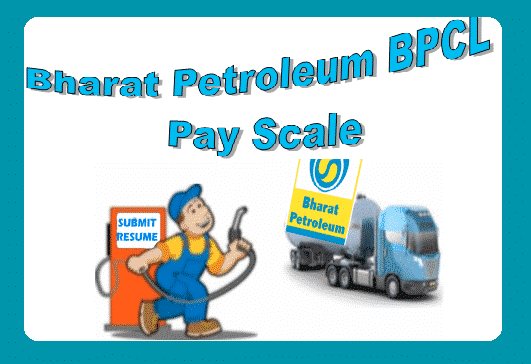 The salary of the employees of BPCL is guided by a separate Pay Revision Committee. So, as the pay revision of the employees is financed from a different committee which is not involved to budgetary resources, it is very hard to expect a rough range of price hike. It can be also mentioned here that the pay revision committee earlier announced that they would not provide pay revisions for the public service undertaking companies. So, now there is no such committee for the pay revision of BPCL’s employees. So, the pay revisions of the company are managed by the board of directors of the company itself. BPCL is a friendly company to its employees supplying anything and everything to the employees. It also offers proper working environment with handsome salary. So, there is actually no need for a rough salary hike, rather the services provided by the companies are for lifetime and that should be enjoyed properly. It is often seen that nobody moves out of the company till they turn 50 and that should be the case for other workers there too as it is a very creative firm.